Sometimes you visit a new destination and have no idea what to expect. Beirut was one of those places for me. The capital city of Lebanon has certainly had a tumultuous past. “But what’s it like now” ? I wondered. Another point of uncertainty was my hotel. Would I have to worry about that? Accommodation standards vary from city to city across the world, sometimes even in the same country. After living in Dubai for years, I have certainly been spoiled with opulence. One of the hotels I stayed at in Beirut defied my expectations however. Le Gray turned out to be one of the best hotels in Beirut. It’s also one of the best urban hotels I’ve stayed in across the Middle East. Aside from topping the list of best hotels in Beirut, Le Gray is conveniently located steps away from the major attractions. 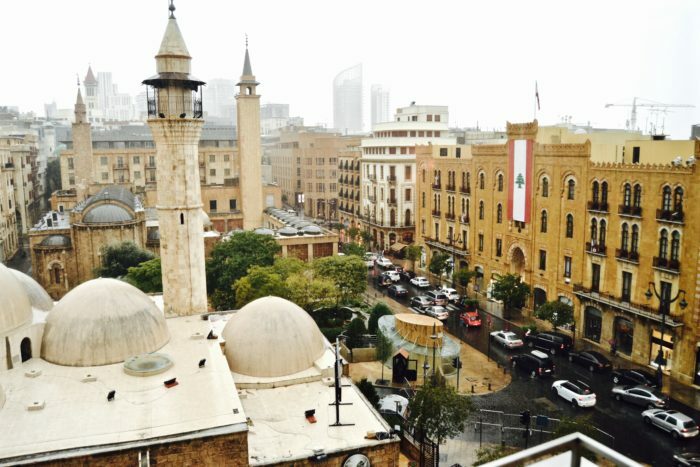 The Beirut Souks, Mohammad Al-Amin Mosque, St. Georges Church and Downtown are literally within a five minute walk. Our terrace suite was so incredible however, little disappointment was felt when it poured rain one afternoon of our visit. My husband and I retreated to Le Gray with umbrellas in hand and tore open the curtains in the stylish and sophisticated decorated seating area (featured above). We unscrewed the cork from the Lebanese wine in the minibar and watched people running in and out of the Chanel store across the street from our corner suite. We marveled at the panoramic views of Downtown Beirut while munching on the macaroons and chocolates left to us as welcome treats. 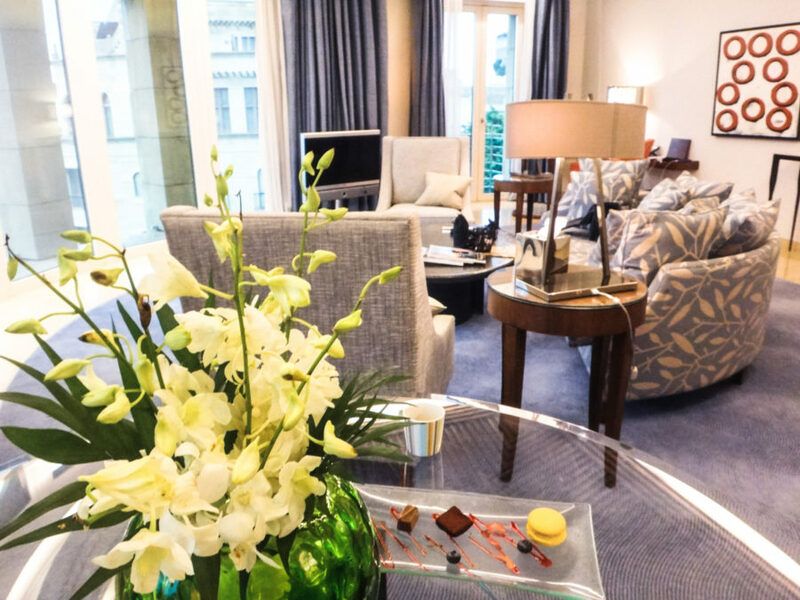 Apart from our plush terrace suite, Le Gray manages to surpass service levels in several areas. Everything from the check in experience to the service in the revered restaurants is superb. The bellboys who hail taxis for you are courteous. The front desk made our breakfasts complimentary after they learned our taxi overcharged us from the airport. Separate story on that later. Even the elderly man who pressed my husband’s shirts was hospitable. At no point did we ever have a quibble. To me, service is what makes or breaks a hotel. Service made Le Gray. 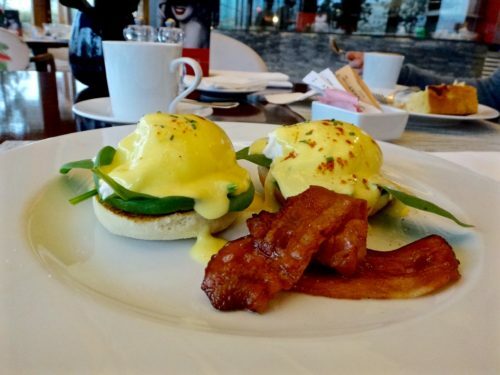 Once I tasted the Eggs Florentine at Indigo, my only regret was not staying at Le Gray longer. Whatever you do, make sure to dine at Indigo. 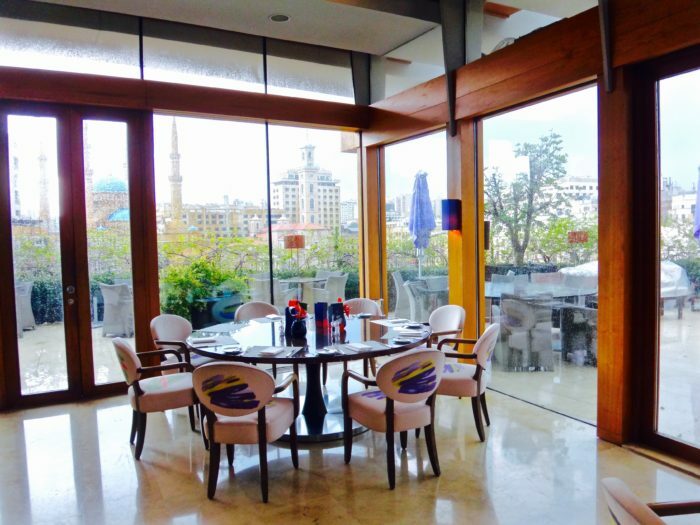 The rooftop restaurant is well known for its cuisine and unobstructed views of Downtown Beirut, the sea and mountains. The breakfast spread is top notch. Breads, pastries and other cold items call out to you while you finish ordering freshly made hot dishes from the menu. 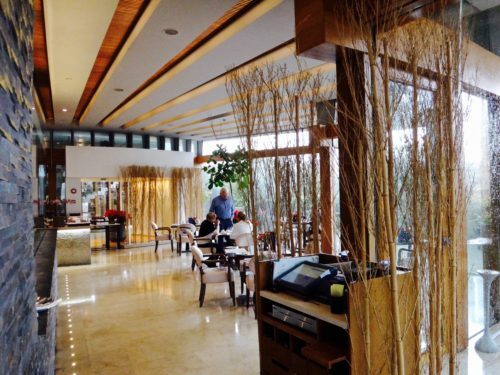 The open layout and modern yet warm interiors of the restaurant are truly inviting. Beirut is famous for its nightlife. Some venues can be a little too concerned with how you look and what you’re wearing though. 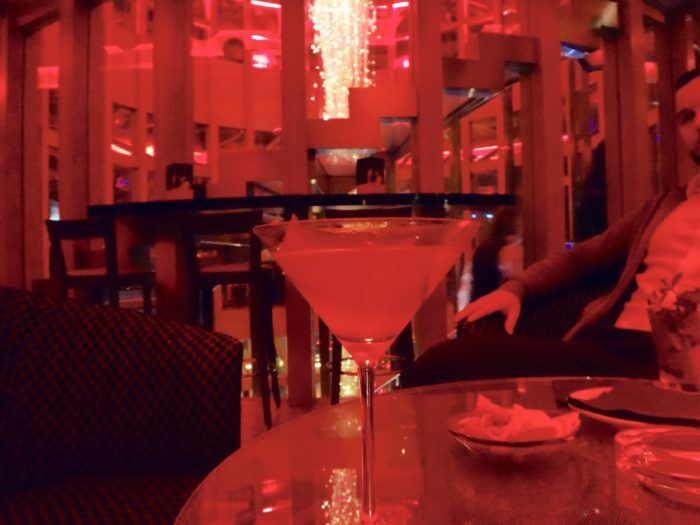 But Bar ThreeSixty at Le Gray is very much a snob free zone. Come here on a Thursday evening for some great cocktails and Jazz with their resident in house performer. Try the cucumber martini, its delicious. 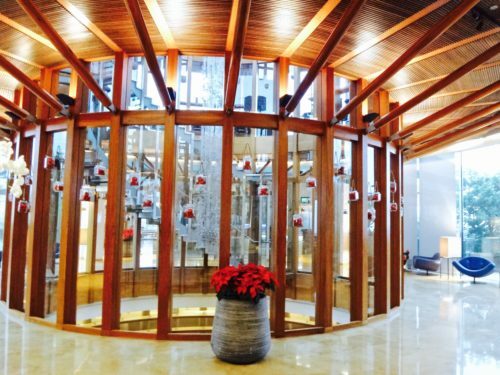 I hope you enjoyed my post about one of the best hotels in Beirut. Feel free to leave a comment in the section below. Stay tuned for travel tips and what to do in Beirut.